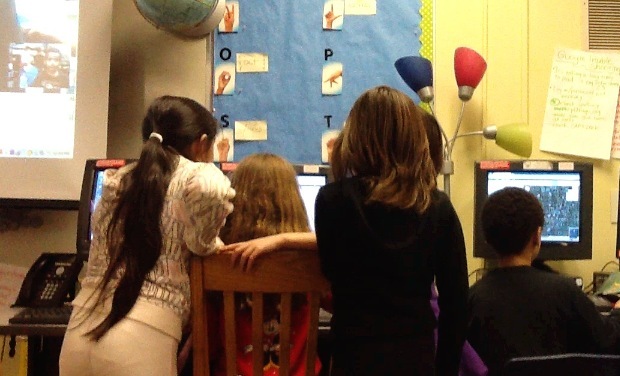 Mystery Skype has been an incredible teaching tool for me this year. 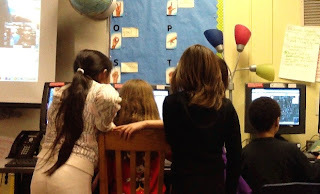 My students love it because it challenges them and allows them to connect with other kids around the world. I love it because it is a fast-paced and rigorous adventure across the globe! 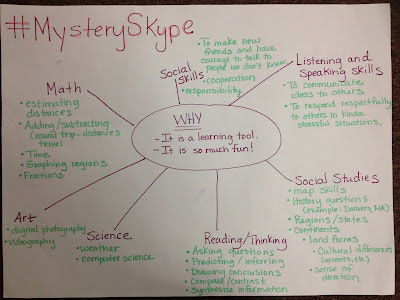 But, Mystery Skype is more than just a fun game - it's a learning experience that lets my students practice and apply a great deal of academic and social skills in a short amount of time. 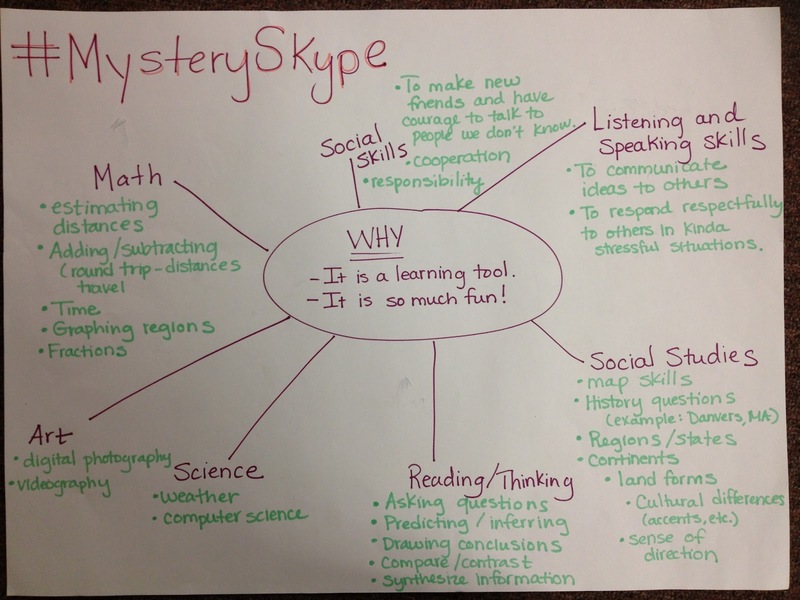 There are many of fantastic blog posts circulating the internet about Mystery Skype (here and here and here), but I wanted to chime in on how we've made it work for us and made it our own. Look at all that learning! Spokespeople (3-4) - these students are the face of our classroom. They ask and answer questions and talk with the kids on the other side. Atlas Masters (4-5) - these students use atlases to narrow in on the location. 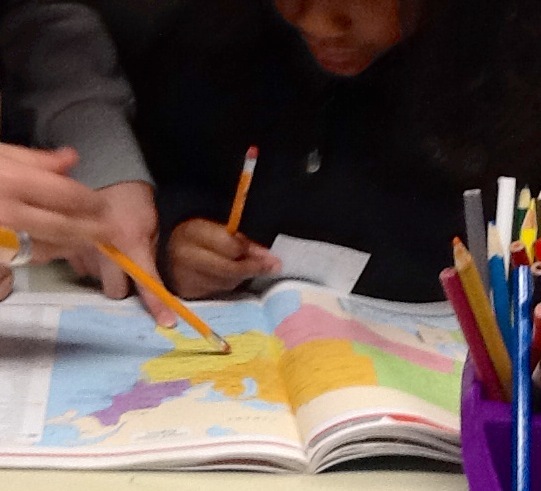 They use various types of maps to determine possible regions and landmarks. Google Mappers (4-5) - these students use Google Maps to narrow in on the location. They are very helpful in locating cities our atlases might not list. 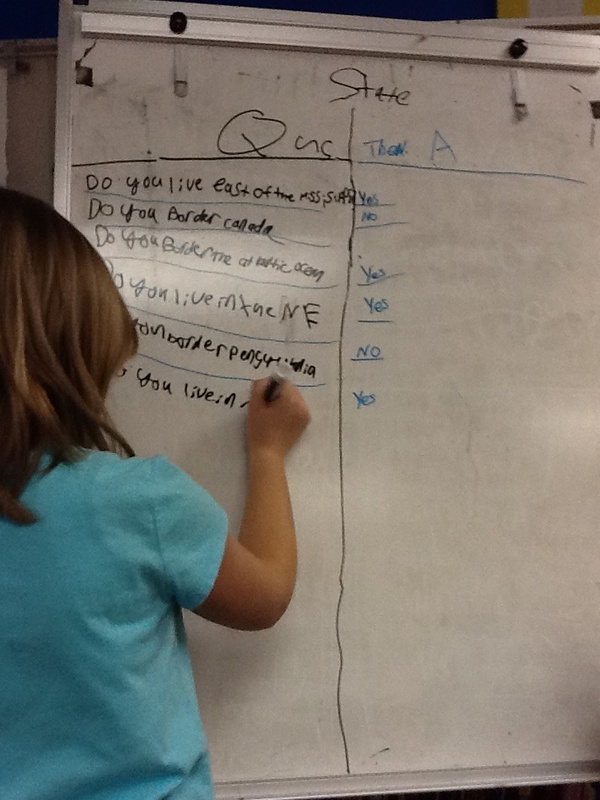 Clue Keepers (2) - these students record the questions and answers on our easel to help the questioners. Keeping track of clues helps everyone stay focused. Questioners (4-5) - these students synthesize the information given to us from our clues and determine the next questions we will ask. They sit between the Spokespeople, Atlas Masters and Google Mappers for easy access. First Responders (2) - these students are the problem solvers. They help re-engage students who might be off task, solve technical issues, provide voice level reminders, etc. 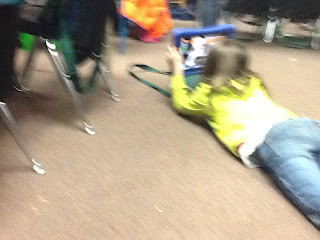 Recorders (2) - these students take photos and videos of our Mystery Skype experience. Graphing - after each call, students add the new location their bar graph of regions and write a few statements on the updated data. Estimation & Distances Traveled - we note the distance of each school in relation to ours on a big map in our classroom. This information helps students make educated guesses when the time comes to add a new label. Once added, we calculate the round trip or find out how much farther away or closer another location was. Compare & Contrast - one of our our favorite activities is to "fly" to our mystery location's school on Google Earth and compare physical landmarks and school characteristics. We also take a few minutes to compare time zones, temperature, and city data. Questions - sometimes our post-call conversations inspire us to find out more about that location. For example, we recently connected with a classroom from Danvers, MA (the site of the Salem Witch Trials). Many of my students were not yet aware of this time in American history, and our call sparked many great discussions that carried us through the rest of the day. 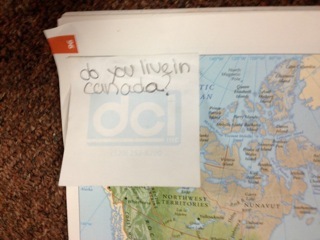 Another call to Canada also triggered questions about forms of measurement, language, and the differences between a "state" and a "province." 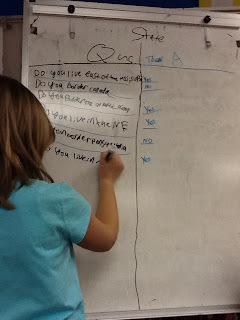 Letting students ask questions allows them to process the experience and encourages them to find out more. If you're new to Mystery Skype and would like to know more or you're a seasoned Skyper and would like to connect with us, please let me know. You can also follow the conversation on Twitter (#mysteryskype) or at Skype in the Classroom.